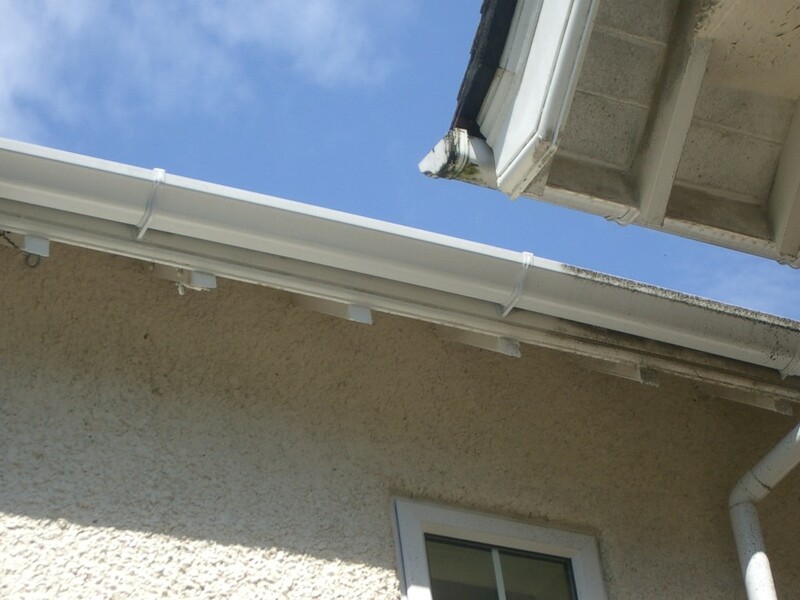 Modern and old for that matter gutter systems are designed to take roof rain water away from your property thereby preventing damp issues around your property. 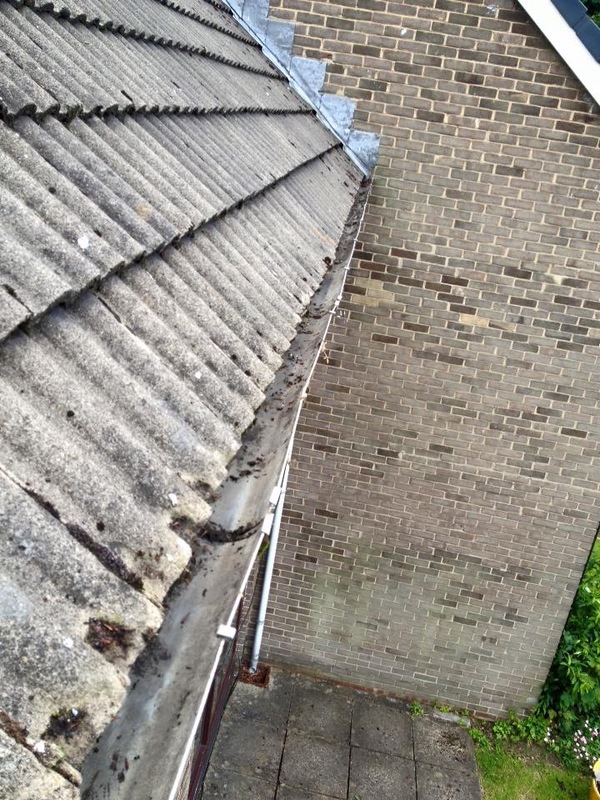 Often tho of course guttering can be the least of our concerns until they go wrong. 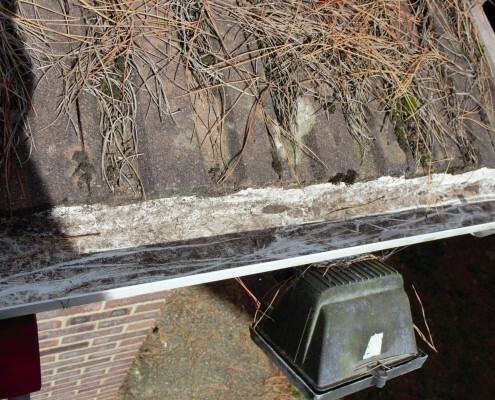 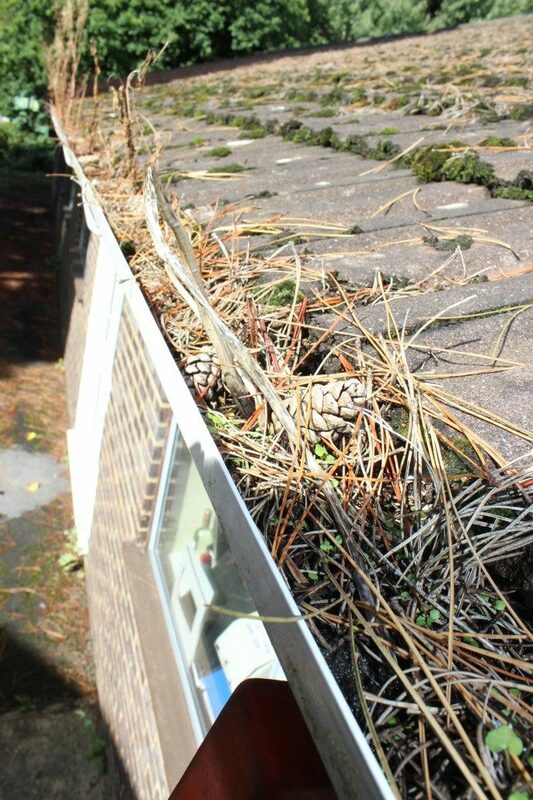 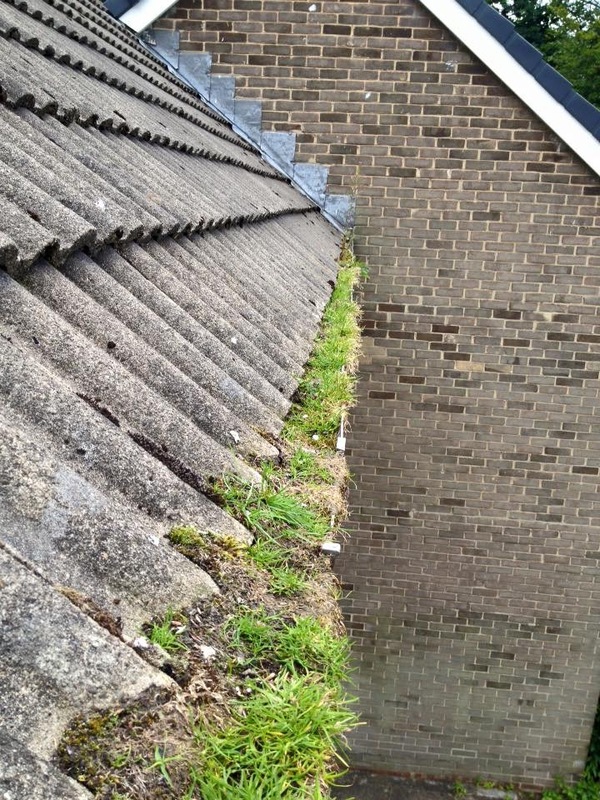 By the time this happens we may already have damp problems occurring due to blocked or damaged guttering overflowing etc. 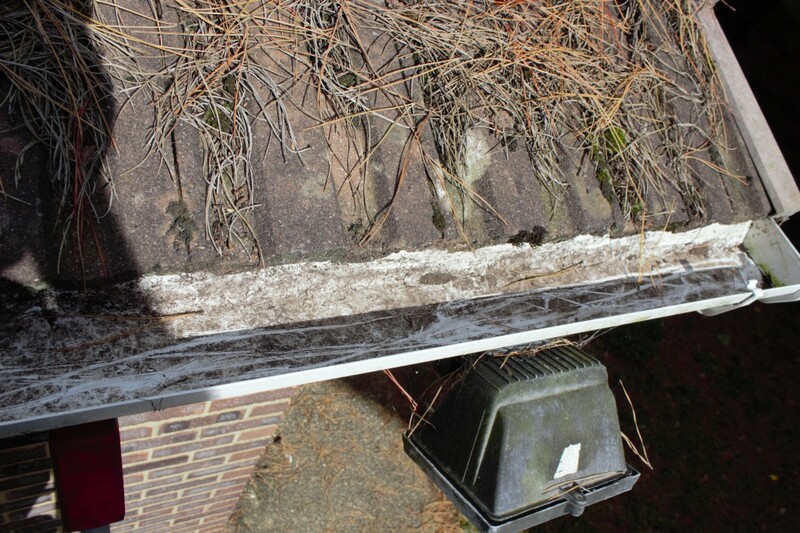 Does any of this sound like the problems you are experiencing. 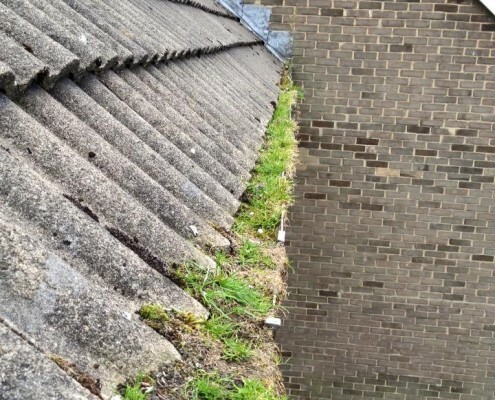 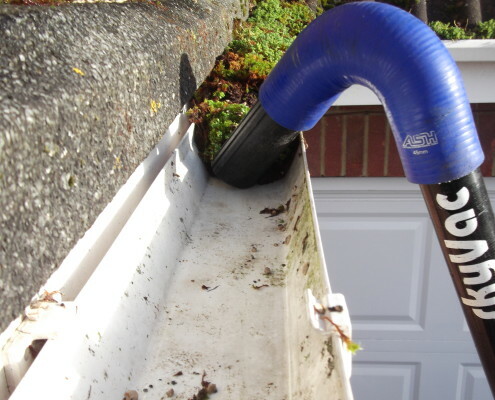 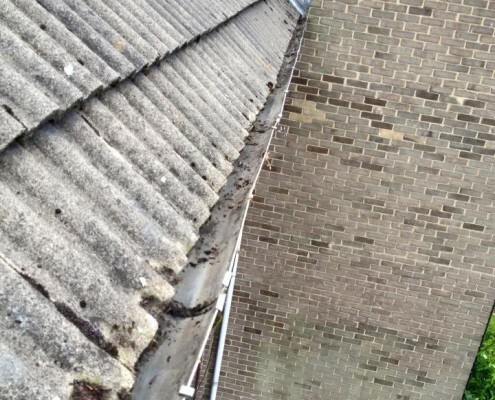 If so elfords have the experience to get to the root of your guttering problems and fix them for you. 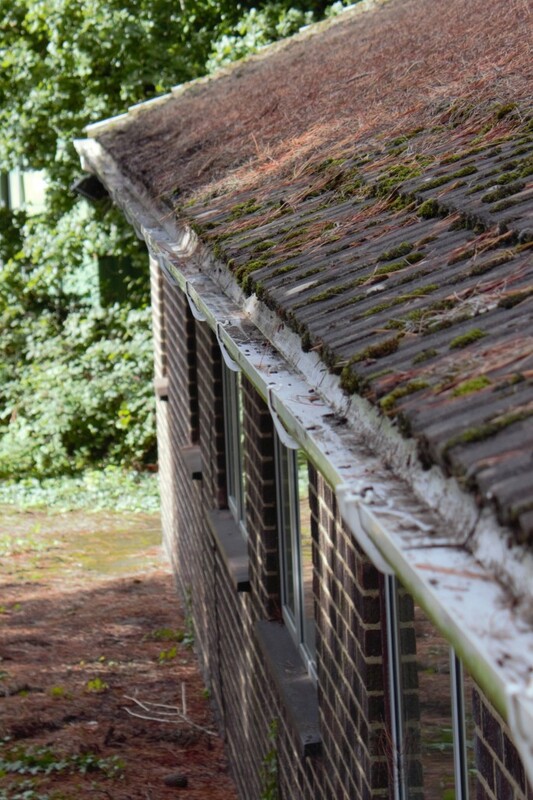 We are able to offer a complete clearance service and offer repairs where necessary too. 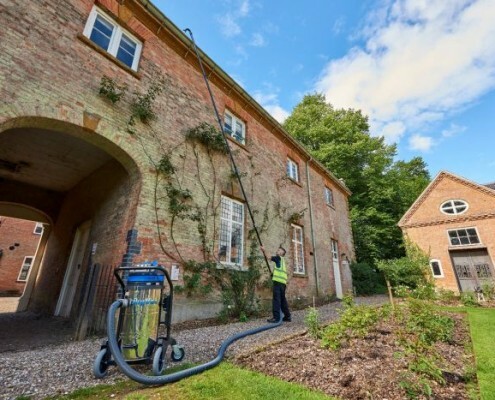 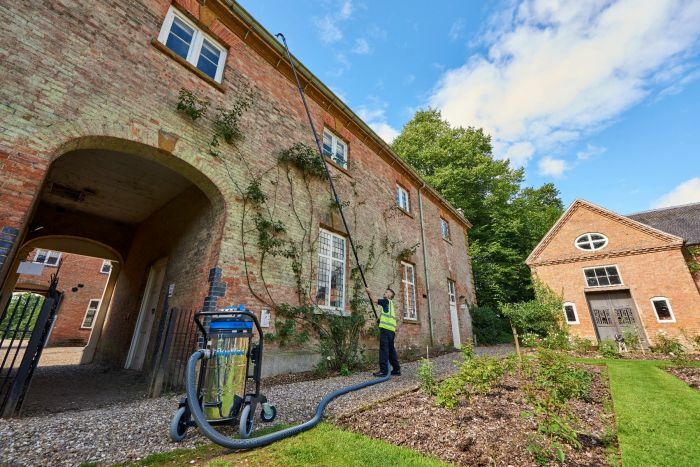 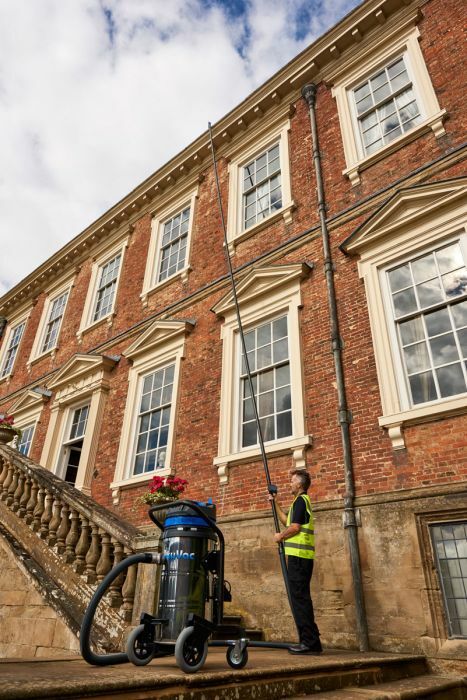 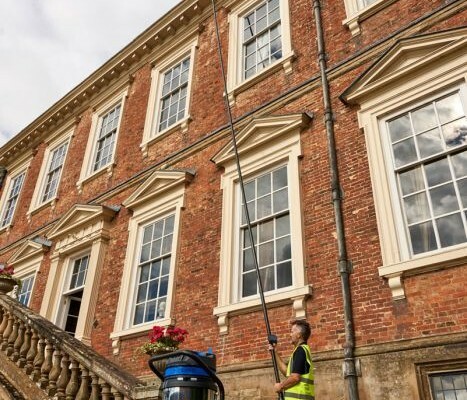 We use a variety of methods to clear out gutters from our high reach gutter vacuum systems to hands on from cherry pickers where required. 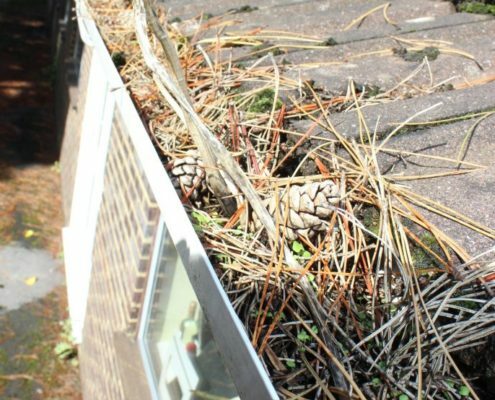 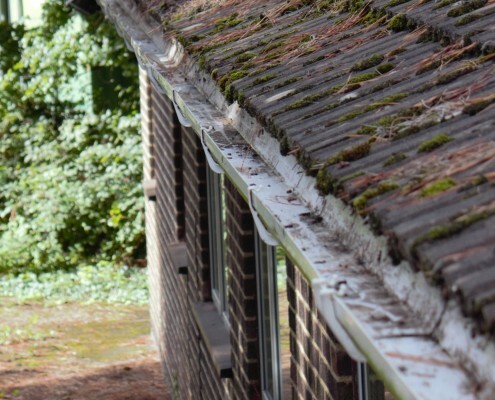 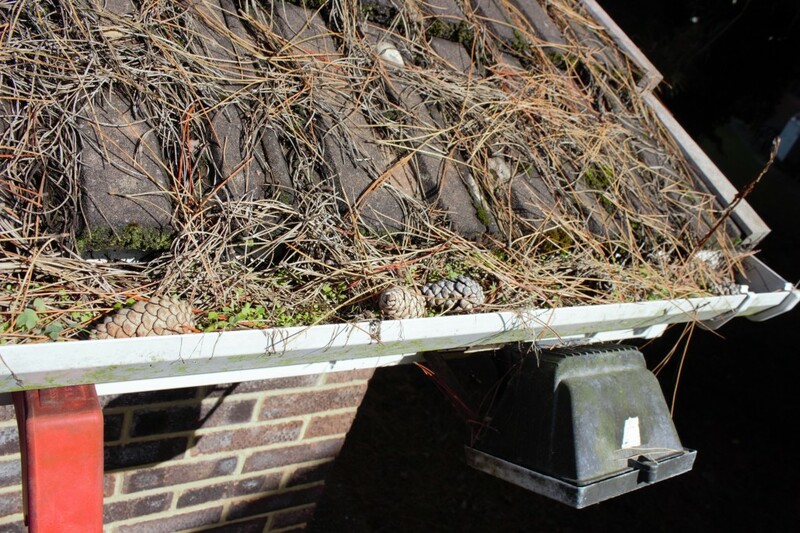 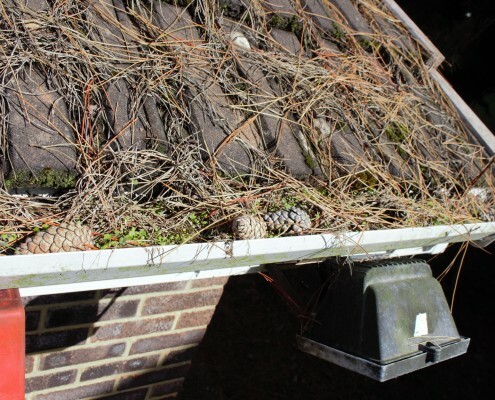 We can also wash down the externals of all gutters, fascias and soffits if they have become unsightly, this is often the case with white upvc systems. 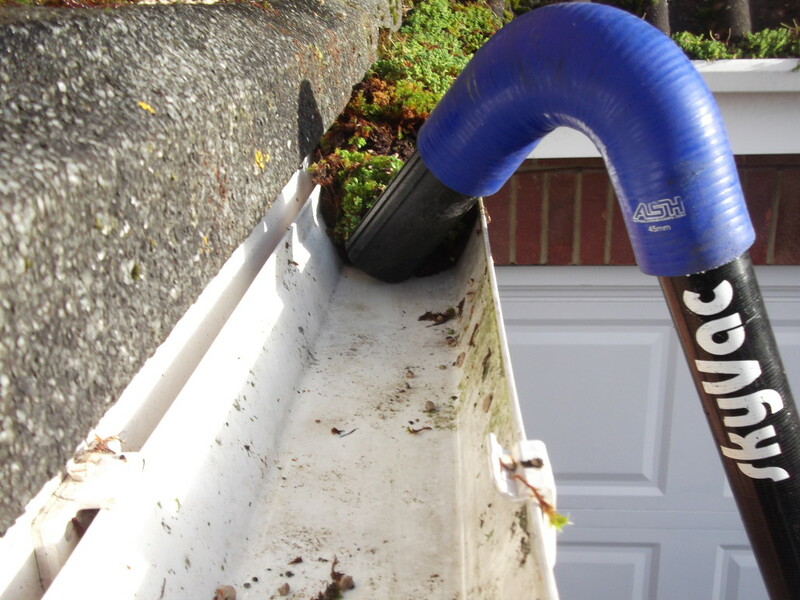 So whether it be your home, office or factory elfords have all of your gutter maintenance requirements needs covered.